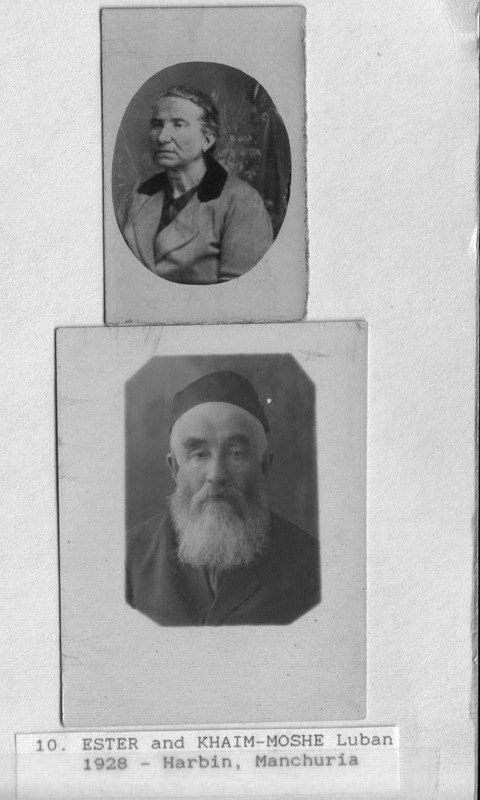 My interest in family history was aroused when I was a young boy in Melbourne, Australia in the 1950's taking part in family gatherings at the home of my maternal grandparents Shlomo-Zalman (1886-1958) and Chana-Reizel Komesaroff (1887-1955). 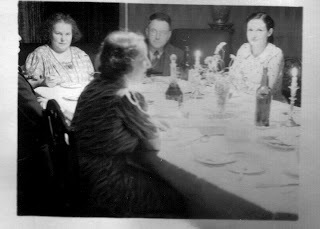 My grandparents talked with their siblings about their life in Russia, and I heard the names of relatives unknown to me. A place of particular honor and affection was held by their grandfather Rabbi Pinkhas Komisaruk (1830-1897).. It was common knowledge that the family descended from a long line of rabbis, although I do not recall that the Vilna Gaon was mentioned by name. Even if he had, as a youngster aged eight when my grandmother died, I would not have known who he was. Unfortunately the untimely deaths of my grandparents deprived me of a rich source of information as I had not recorded their stories during their lifetimes and had not been able to ask them questions about the family ancestry. But my brother, who is older than me, had sketched a family tree according to our grandmother's knowledge of it. This tree commenced with my grandparents' great-grandfather Rabbi Shlomo-Zalman Komisaruk (1798-1853). After the death in 1958 of my late grandfather Shlomo Zalman Komesaroff (originally Komisaruk) I found a treasure trove of sources of family history. There were old photos and documents from Russia such as his marriage certificate, passport, my mother’s birth certificate, letters from relatives in Yiddish and Russian, and old religious books with inscriptions by relatives. I learned Russian and was able to read the names inscribed on the back of the photos. Amazingly my mother was able to identify all of them and we constructed a family tree. 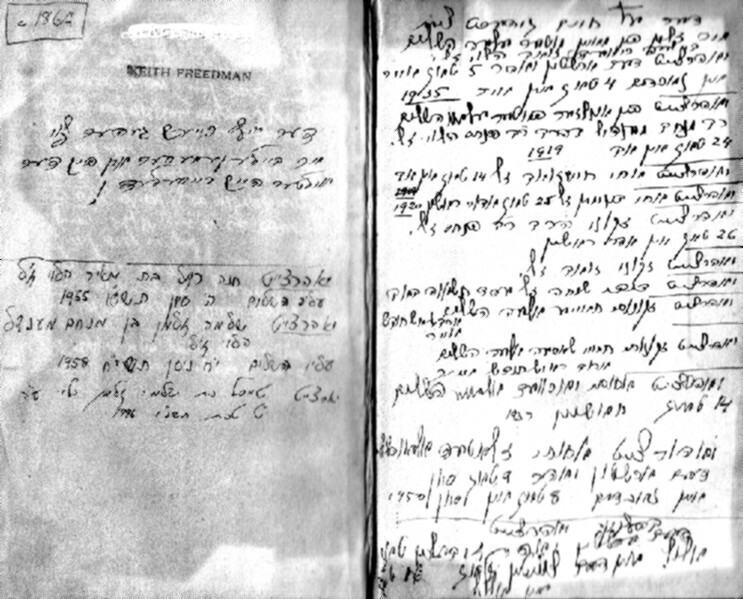 Inscription of death anniversaries inscribed in a Hebrew book by Zalman Komesaroff. The connection between the Komisaruk family and the Gaon of Vilna is based primarily on oral tradition. While archival research has produced considerable material about the family, specific documentary proof of descent from the Gaon has not been found. However, analysis of the oral traditions together with personal inscriptions in books and written family memoirs strongly supports a relationship. 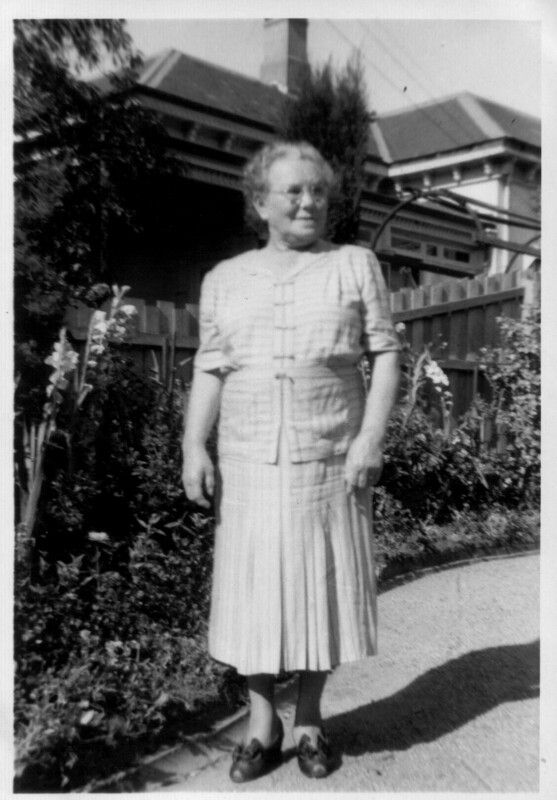 1) The oral tradition of descent from the Gaon was maintained by my late grandmother, Chana Reizel Komesaroff (1887-1955) of Melbourne, Australia, and other relatives. My brother Neville Freedman recalled how our grandmother, Chana Reizel Komesaroff, spoke of discussing the subject of descent from the Gaon with Sara Tsipora (1880-1962), the wife of Rabbi Yosef Lipman Gurewicz of Vilna who lived in Melbourne. Rebbitzen Gurewicz was the daughter of Rabbi Avraham Yitskhak Bendet of Vilna who also claimed descent from the Gaon (as noted on her tombstone). Unfortunately, neither the Gurewicz family nor the Komesaroff family recorded in writing the exact nature of the relationship between them. 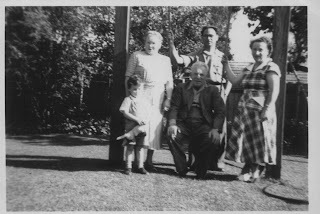 2) There were three families in Melbourne whose roots in Russia showed them to be interrelated by several cousin marriages: Komesaroff (Komisaruk), Zmood and Grinblat. In addition to marriages at the generation level of my grandparents, several members of these families claimed that they had been told by their elder relatives that the three families were related independently of these marriages and were descended from a common primogenitor. 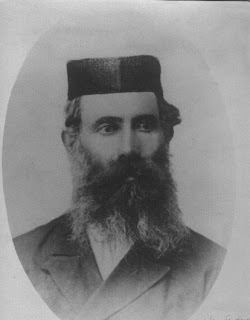 My interpolations of the family trees and traditions led me to believe that the common ancestor of these three families was Rabbi Dov Ber Halevy Komisaruk (1776-1843) of Raseiniai, Lithuania. Berel son of David Komisaruk aged 40, his wife Ester aged 39, their son Zalman aged 18 and his wife Yokhet (Yokhved) aged 18. 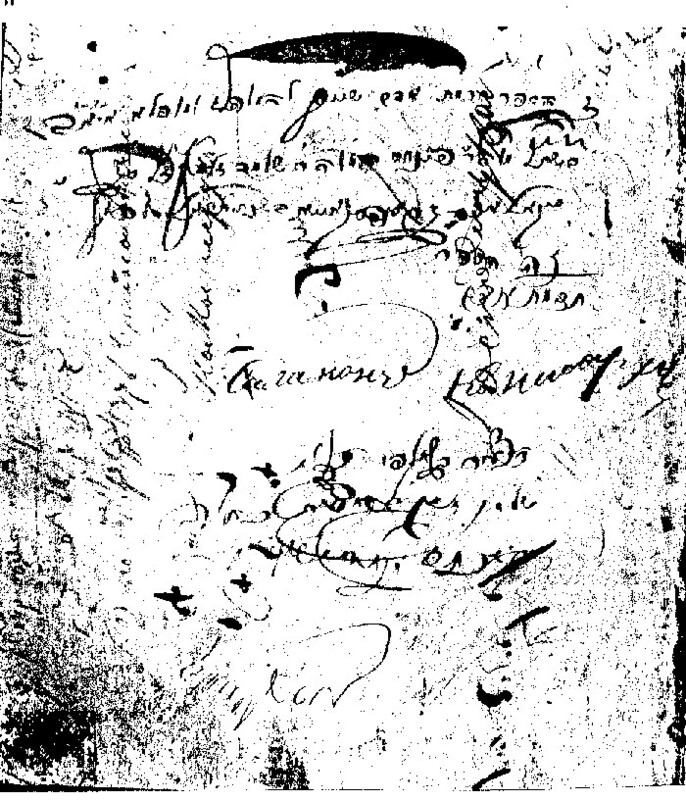 Lithuanian archival records of the Komisaruk family. One member of these families in Melbourne, Raymond Grinblat, spoke of the family relationships to my parents at several social gatherings. When I met him he told me that his family came from Salant in Lithuania and that they were descended from a famous rabbi known as "the Gaon". While that title is bandied around widely now, it was not always the case. A study of the rabbis of Salant included many famous figures. None of the Salant rabbis was known especially as "the Gaon". This was my first indication that the ancestor might have been the Vilna Gaon. "Feigel married Wolf Komisaruk, a Rabbi's brother, descended, as it is said, from the great Jewish sage, the Gaon of Vilna." The importance of this statement is that it was written by one who personally knew my great-great-grandfather Rabbi Pinkhas Komisaruk (1830-1897). This familiarity with the tradition of the Komisaruk family's descent from the Gaon is completely independent of the Komisaruk family's oral traditions, and therefore represents strong confirmation of the linkage. 4) The exact nature of the link between the Gaon of Vilna and the Komisaruk family was established by an inscription in an old book passed down through the generations of the Komisaruk family. 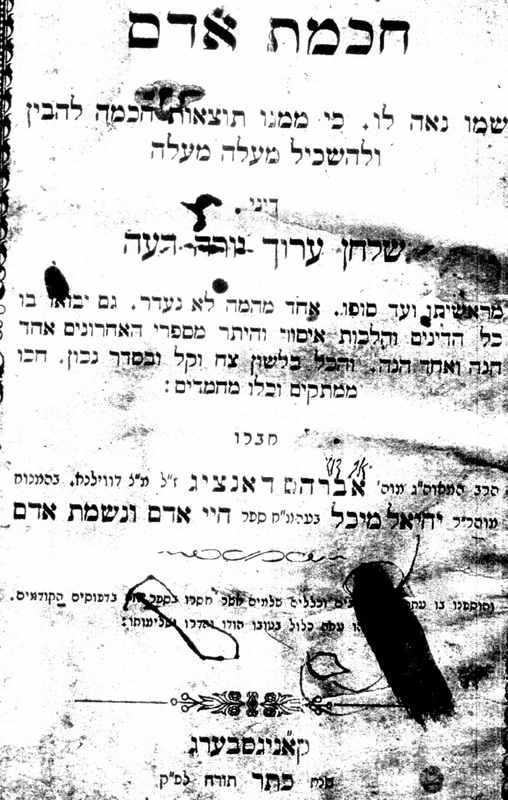 A copy of "Khokhmat Adam", dating from 1860, was in the possession of Rabbi Pinkhas Komisaruk (1830-1897). Next to the name of the author, Rabbi Avraham Danzig of Vilna (1748-1820), was a fading handwritten inscription in Hebrew "av dodi" meaning "‏father of my uncle". "This book Khokhmat Adam belonged to the distinguished and outstanding one, my father and my teacher, the Rabbi Pinkhas, son of our teacher the Rabbi Shlomo Zalman of blessed and righteous memory, Segal, of Kolonya Grafskoy, Komisaruk." "Shlomo Zalman, son of our teacher the Rabbi Pinkhas." Rabbi Shlomo Zalman Komisaruk, son of Pinkhas, Vasilkovka, c.1917. 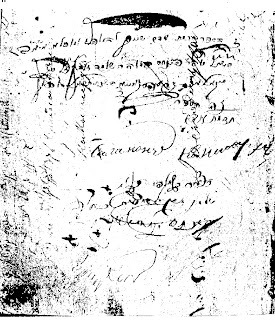 These signatures confer authenticity on the inscription written next to the name of the author of the book, which was obviously intended to preserve for posterity a record of the relationship between the Komisaruk family and the author of the book, Rabbi Avraham Danzig. Consideration of the expression "father of my uncle" indicates two possibilities. The father of one's uncle could either be one's grandfather, in which case he would have been referred to as such, or the father of an uncle by marriage, namely one's aunt's husband. Since Avraham Danzig's son, Rabbi Yitskhak Danzig ( c. 1785-1853) was married to Gittel (died 1857), a daughter of Rabbi Yehudah Leib of Serhei (1764-1816), the Gaon of Vilna's second son, the link between the Komisaruk family and the Gaon can be firmly established. was, and ruling out a relationship with the families of Avraham Danzig's other children, whose connections are not applicable to the Komisaruk family, it can be definitely concluded that Rabbi Yehudah Leib's son-in-law, Rabbi Yitskhak Danzig, was an uncle by marriage to Rabbi Pinkhas Komisaruk's father Rabbi Shlomo Zalman Komisaruk. This means that Rabbi Shlomo Zalmen's mother was a sister of Yitskhak Danzig's wife Gittel, and a daughter of Rabbi Yehudah Leib, a son of the Gaon of Vilna. In other words, the father of Rabbi Shlomo Zalman Komisaruk, Rabbi Dov Ber Halevy Komisaruk was a son-in-law of Rabbi Yehudah Leib of Serhei, thus establishing the relationship between the Komisaruk family and the Gaon of Vilna. 5) Indication of this relationship was sought from the genealogy complied by Eliezer Rivlin . I have carried out extensive research on the Gaon's family which shows that Rivlin's list of the grand-children of the Gaon of Vilna is far from complete. 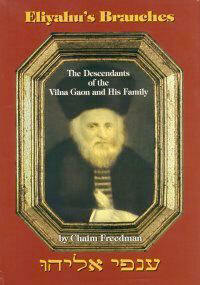 Rivlin recorded thirteen grandchildren of the Gaon, whilst I have identified over forty. Research indicates that, unknown to Rivlin, many families in south-western Lithuania established marital ties with the son of the Gaon, Rabbi Yehudah Leib of Serhei. Documented confirmation of the identity of the relevant daughter of Rabbi Yehudah Leib was sought by this author. Genealogist Alex Friedlander of New York extensively researched birth, marriage and death records obtained from the area in south-western Lithuanian and north-eastern Poland where Yehudah Leib's family lived. Friedlander was able to add details about a number of the individuals referred to by Rivlin, however the period during when the children of Yehudah Leib were born, from about 1785 to about 1800, was not within the time period covered by the available records for Serhei. Records of the Komisaruk family in Raseiniai do exist for the late 18th and early to mid-19th century. Personal visits to Poland and Lithuania by Friedlander have yet to prove fruitful in solving oral traditions of descent from the Gaon held by a number of families. Likewise, recently opened Russian and Lithuanian archives have not yielded specific material. It should be noted that registration of Jewish births became mandatory by Tsarist law from about 1804. Therefore there were no official birth records of most of the Gaon's grandchildren. It is possible that "Reviski Skazi" (census lists which were recorded for taxation purposes), should they become available for the relevant towns and period, may yield the required information. The archive of Benyamin Rivlin son of Eliezer Rivlin, the author of "Sefer Hayakhas" includes material on the family of the Gaon of Vilna. Amongst this material are copies of genealogical lists prepared by Rabbi Eliyahu Landa (1873-1946, a great-great grandson of the Gaon) who was the major source for that section pertaining to the Gaon in Eliezer Rivlin's "Sefer Hayakhas". The names and number of the daughters of Yehudah Leib of Serhei is ambiguous. 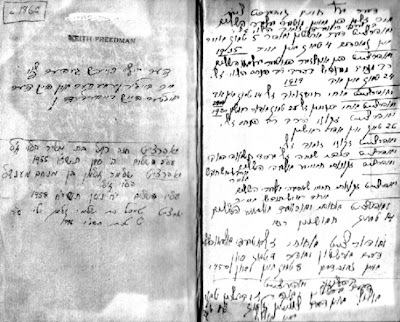 Landau wrote two versions of his lists, although both state that Yehudah Leib had four daughters and not two as recorded in "Sefer Hayakhas". 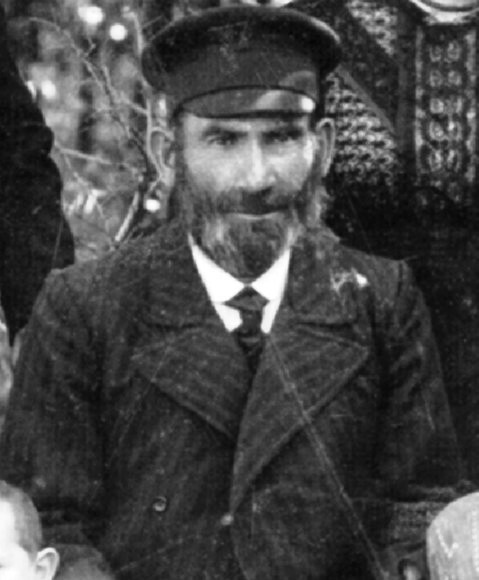 6) Rabbi Chaim-Mendel (Marvin) Luban, formerly Rabbi of Young Israel Synagogue in Forest Hills, New York, and retired to Jerusalem, met a lady at a social event who told him that she came from Harbin, Manchuria where she was told by members of the Komisaruk family that they were descended from the Vilna Gaon. This incident may tie into a visit to Melbourne about 1970 by Rachel Komissaroff of New York. 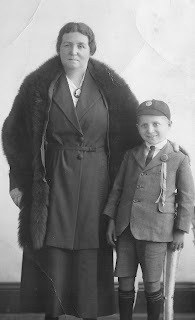 Her father-in-law Avraham-Avner Komissaroff lived in Harbin during the 1920's and 1930's. Rachel recalled that when a new rabbi arrived in Harbin he was concerned about the level of Kashrut of members of the community. He was prepared to eat in the Komissaroff household because he knew they were descended from the Vilna Gaon. This story is problematical as the Komissaroff family in Harbin, originally from Novozybkov, Russia, was not of Levitic descent while the Komesaroffs and Komisaruks were Leviim. Research into the Novozybkov family has not revealed a relationship, which, if at all, could only have resulted from a non-Levitical Komissaroff marrying the daughter of a Levitical Komisaruk. Yet when Henry Komissaroff, Rachel's husband, met the Melbourne Komesaroffs about 1950, they were convinced that they were related. It is possible that the Harbin story was based on a meeting with the Luban family that was living there between 1924-1928, namely Rabbi Chaim Luban's grandparents Chaim-Moshe and Ester Luban. Ester was a daughter of Rabbi Pinkhas Komisaruk. If this was the case, then this may be further evidence of the Komisaruk family's descent from the Vilna Gaon. "We came from Lithuania. From our branch in Lithuania we could boast a few famous rabbis. Rabbi Ber was our noted man. He was such a great rabbi that people came from all over to hear his opinion and evaluation on questions". Research of a "famous" Rabbi Ber in Raseiniai, Lithuania (the town of origin of the Komisaruk family) fails to identify such a person. It is possible that Norman may have confused one of his rabbinical ancestors, Rabbi Dov Ber Komisaruk, with a more famous ancestor, the Vilna Gaon, who would fit the description conveyed by Beila-Reeva. 7) Physiognomic similarities between several people may be claimed to indicate a relationship between them. I am usually dubious of this type of genealogical evidence. Modesty might deter me from writing of this but in the interests of completeness I am including this point. A portrait of the Vilna Gaon hangs in my house. Several people have commented that I bear a remarkable resemblance to that portrait. The name was originally Komisaruk in Russia, some of the family used the form Komesaroff and it was changed to Kaye by my grandfather in Australia. Rabbi Pinkhas was the paternal grandfather of both my grandparents as their fathers, Meir and Menakhem-Mendel Komisaruk were brothers. The exact dates of birth and death of rabbi Shlomo-Zalman Komisaruk were not known until the discovery of archival records in the 1990's. Rebbetzin Gurewitz's tombstone is located in the Carlton Cemetery in Melbourne. Moshe (Maurice) Zmood and Raymond Grinblat. After the death of Raymond Grinblat in 1975 and after my first book "Out Fathers' Harvest" appeared in 1982, Raymond's widow Miriam claimed that she did not recall these conversations. Weinkle's memoirs were translated by his grand-daughter Charlotte Chazin. The book was in the possession of William (Khaim-Velvel) Komesaroff of Melbourne and after his death in 1996, it passed to his son Michael. The book is in the possession of Michael Komesaroff (Melbourne) and in an examination of the title page the inscription is no longer visible. A reconstruction by Chaim Freedman in 2006 was carried out from his memory of the faded inscription as he saw it about 1965. "Sefer Hayakhas Lemishpakhat Rivlin Vehagaon Mivilna" Eliezer Rivlin, Jerusalem 1935. Rabbi Chaim Luban is a grandson of Ester Luban (c.1868-1929), a daughter of Rabbi Pinkhas Komisaruk. He does not remember the identity of the lady who gave him this information. Norman Mendelson's father, Yaakov-Leib (1888-1952) changed his name from Komisaruk to Mendelson. He was a son of Menakhem-Mendel, son of Rabbi Pinkhas Komisaruk. Beila Reeva was the wife of Menakhem-Mendel Komisaruk. The portrait appears on the cover of my book "Eliyahu's Branches, the Descendants of the Vilna Gaon and His Family" (Avotaynu 1997). The provenance of this portrait is discussed in "The Gaon of Vilna. The Man and His Legacy", Beit Hatefutsoth Museum of the Jewish Diaspora, edited by Rachel Schnold, Tel Aviv 1998. The original portrait is held in the archive of Yeshayahu Winograd, Jerusalem.